Here you will find a variety of eliquid sample configurations. 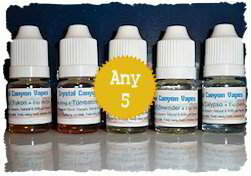 Eliquid sample packs are more economical than purchasing single bottles of ejuice to try. You may choose any configuration of eliquid flavors so you can sample the ejuices that you want without committing to large bottles. 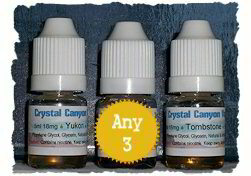 All of Crystal Canyon Vapes Eliquid samples are made fresh to order and not mass produced.